There is no lining, and I like the fact that it doesn't smell even in summer. It is a disadvantage that it is easy to scratch and tear it with a sharp one. As it is not expensive, we purchase plural spares and use. This review is about item#48943596. I was looking for rubber gloves without lining. It is saved because hot clothes can be washed easily. This review is about item#48943571. This review is about item#48943614. 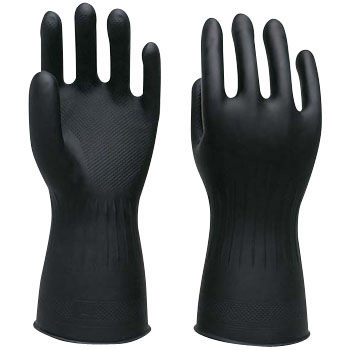 I was looking for SS size rubber gloves for people with small hands to work in the field. I could not find the SS size that is not a backstitch, but I finally found it with Monotaro. People in the field are also pleased that it is just right size. I want you to handle it all the time.